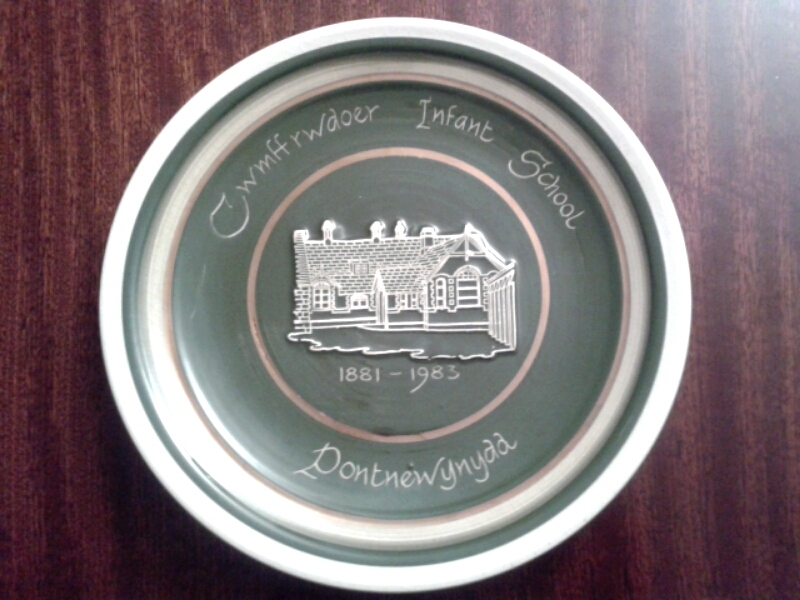 Cwmffrwdoer Infants School. 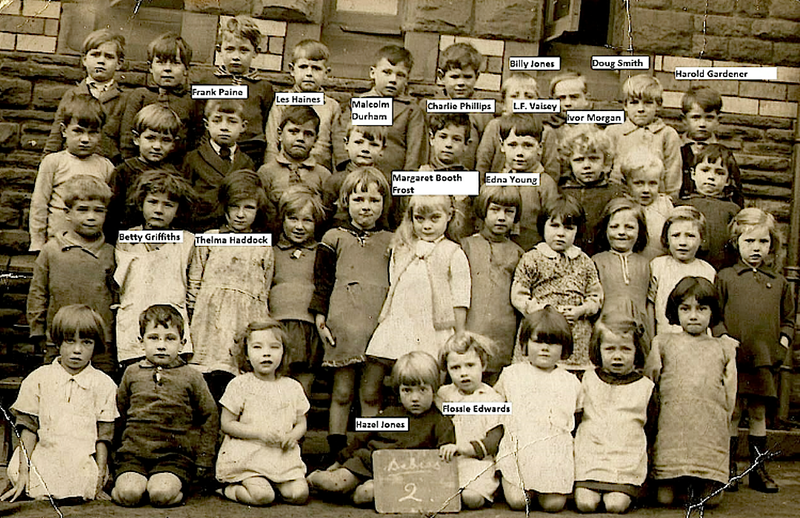 Do you recognise anyone? It’s always pleasing to receive emails from visitors to my blog especially when they write from other countries where they are now living. 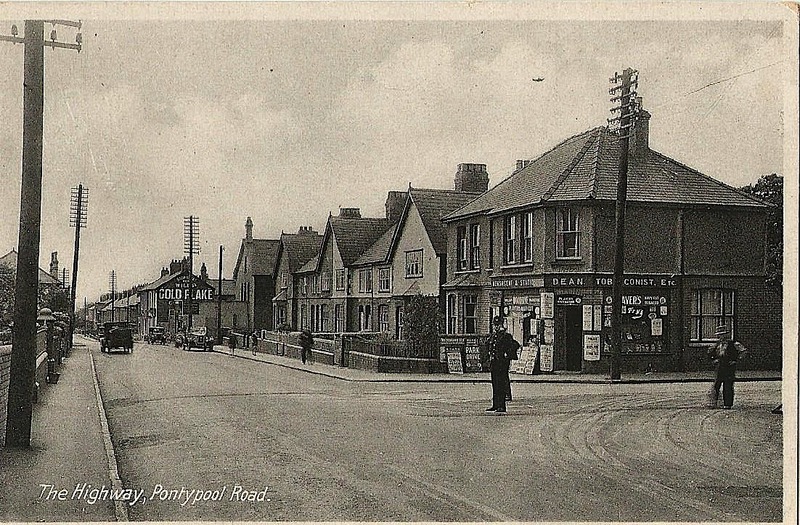 It’s amazing how far flung are some of the people who were born and brought up in Pontypool. 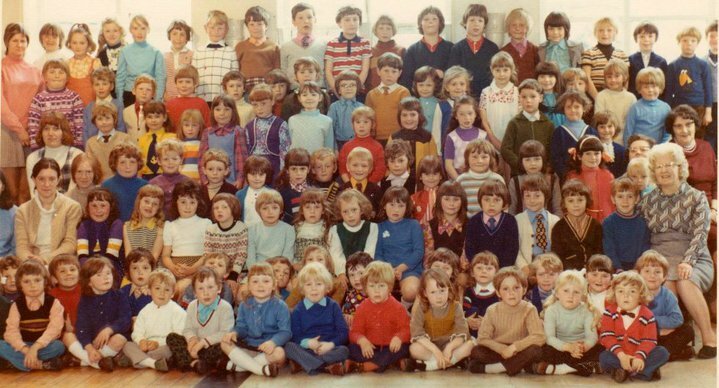 Garry went to Cwmffrwdoer Infants and Junior School and also Twmpath. He has kindly sent me two photographs of some of the Infants children which I enclose below. Garry has also sent me the names of the children he can remember so it’s possible that some visitors might remember either themselves or a relative in one of the photographs. If any visitors have any other photographs of Cwmffrwdoer Junior and Infants School please let me have copies in an email and I can add them in a later post. I know Garry would like to see them. Teachers, Mrs. Roper lady on right of image with white hair,, Mrs.
Cleaves sat directly behind her. must have been lost along with my many travels. 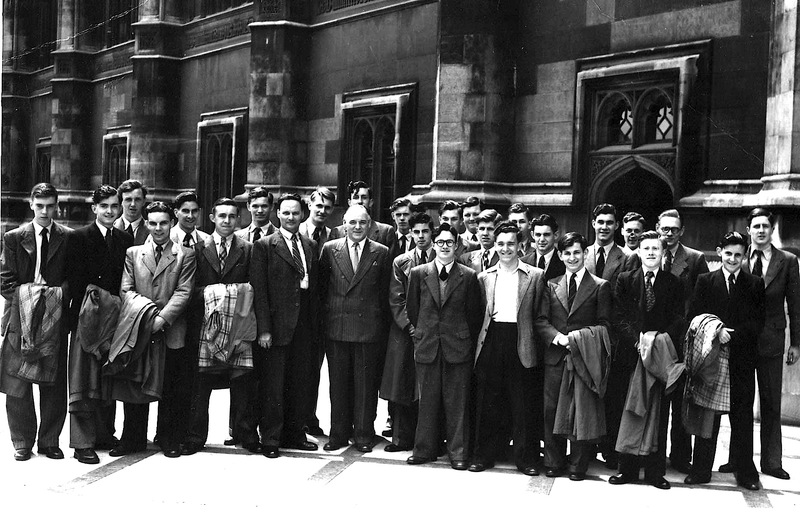 I have just received from Geoff Nicolle a photograph of West Mon boys, of Six and Seven Arts, when they visited the Houses of Parliament in the nineteen fifties. I enclose it below together with some notes of the names of most of the boys in it. If anyone has any further details please make a comment. We had an interesting tour led by Granville Wes. Some boys from the Pontypool constituency went in to watch a debate. We were told they had seen and heard both Winston Churchill and Nye Bevan speak. Afterwards Nobby took some boys to see a Shakespeare play. Our lot went with Jack to see the musical ‘Call Me Madam’. 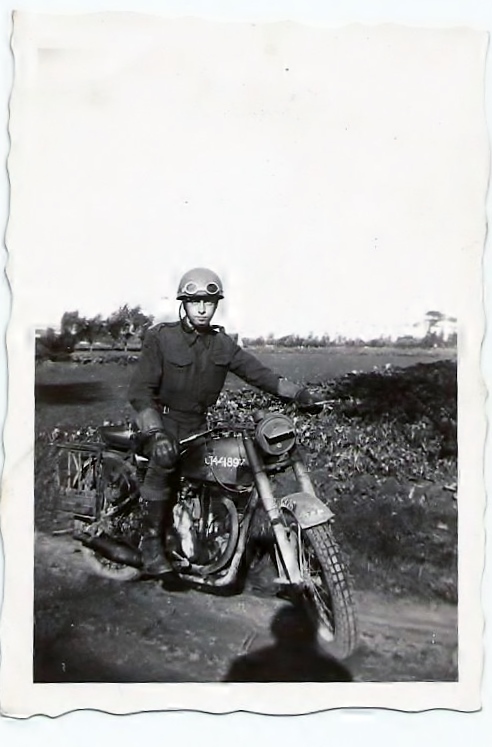 I would be interested to see if anyone else in the picture can add more information . 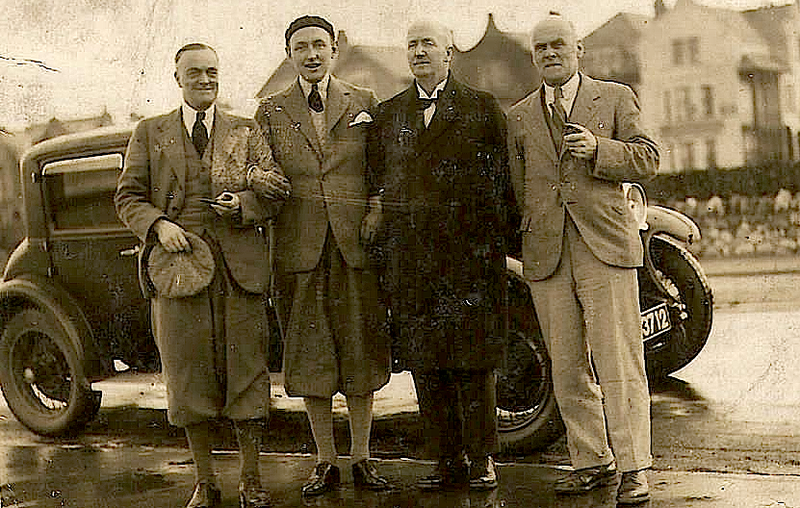 Sadly some of my best friends like Terry Harper, John Watkins and Arthur Westren died many years ago. I think John Rogers became a vicar. Deri Lloyd played for Pontypool R.F.C. when he was in 7Arts. 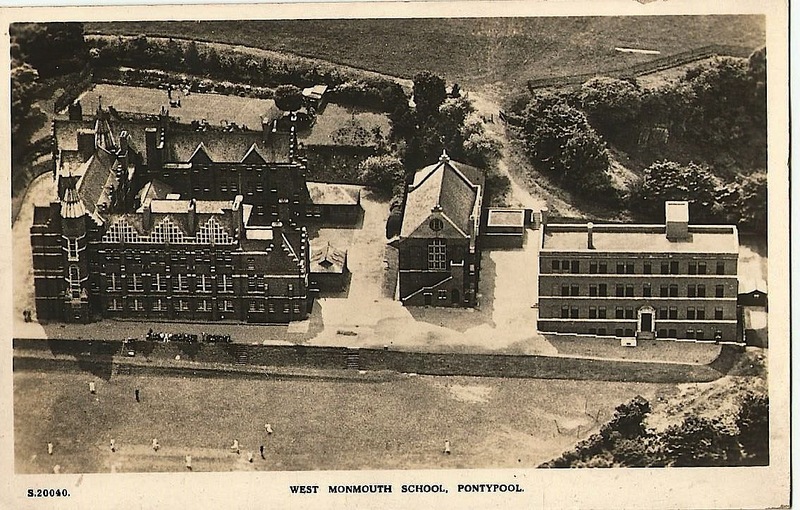 While I was at West Mon from 1942 to 1947, every year on the last day of the school year we had the school quiz. Everyone had exactly the same questions no matter what the ages of the boys concerned, so it was possible for any pupil to win the prize. All the teaching staff would take charge of a class each and the questions were called out. I can’t remember how many questions we had to answer but it took about an hour to complete the quiz. I can’t remember how the papers were marked, whether we exchanged papers and marked them that way or whether the staff did the marking. The former would have been quicker and would have enabled the winner to be announced the same day. Otherwise it would have meant that the winner would not have been known until the following term. I have an idea that there was some sort of a prize but I can’t remember what it was. I imagine that someone must have made some sort of endowment to provide the prize but I cannot be at all sure of that. Does any visitor remember the quiz? Did they participate and is it still happening? If anyone has any memories of this event please either email me or append a comment. Do we have a visitor who actually won the prize? There were all sorts of expressions we used when I was a young boy in Pontypool. Some were the remainders of words from the Welsh language; others sound rather humorous now but we used them frequently years ago. Of course they might not have been used exclusively in Pontypool but in a wider area. I publish a few I remember below. Do any visitors remember such expressions? Tamping When we bounced balls up and down on the ground this was often referred to as “tamping the ball”. There was another expression tamping mad which meant that someone was extremely annoyed. Whipper-in This was a term applied to the man known as “the attendance officer”. If someone was thought to be away from school without any reason, the head teacher would ask the whipper-in to call at the house and if the pupil seemed to be in good health he or she would be grabbed by the whipper-in and marched to school. Tapped This was used when we had shoes repaired. When pupils were absent when the teacher called the resister a fellow pupil might explain “He’s getting his shoes tapped”. Another use of the expression was “He or she’s a bit tapped” meaning they were a bit crazy. Ych-a-fi This was an expression of utter disgust when something, or someone, was in a particularly filthy condition. Mingy This meant “mean”; any of our friends who bought a packet of sweets and didn’t share them was called “mingy”. Taw A good quality glass marble was referred to as a “taw”. We often played “following taws” down the gutter trying to hit an opponent’s marble. The one who did this kept the marble. Right-o This was an expression of agreement. There was a certain woman who lived in Bridge Street who was known as “Mrs Right-o”. The story went that, when she was getting married and the clergyman asked her “Do you take this man . . . etc. ?” instead of saying “I do.” she replied “Right-o”. One expression I have tried many years to find the source of and have so far failed is a word which was used by my mother. I can’t remember anyone else using it. Can any visitor enlighten me? The word was fakie. I’m not sure of the spelling but that is what it sounded like. If she knew of an implement which did a special job but couldn’t recall the name of it, she would say “Where’s that fakie for getting nails out of wood?” etc. Can anyone help with this one? Of course, many of these expression might still be used in Pontypool. Visitors who still live there will know. 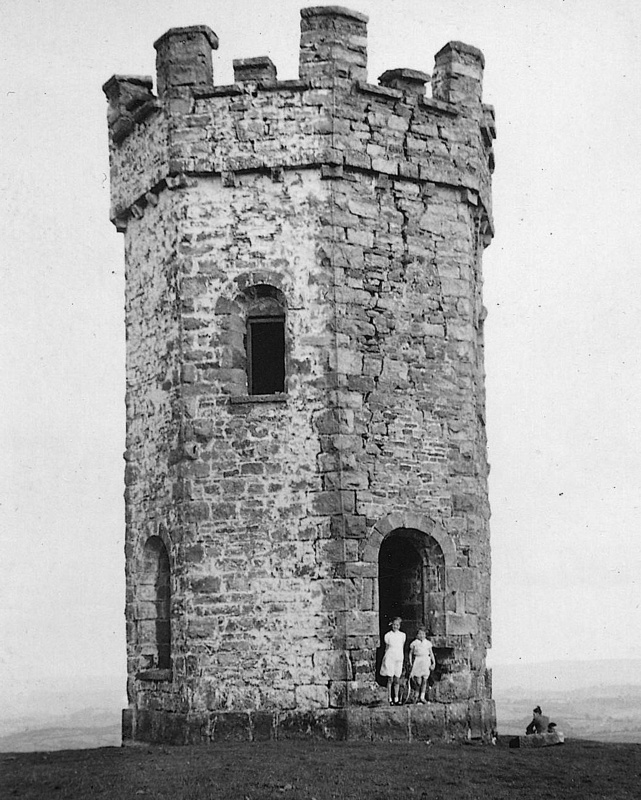 Some younger visitors might not have seen a photograph of the original Folly Tower. Dot Jones sent in this shot of the tower with Dot and her friend Doreen standing just outside the doorway. You can clearly see some serious cracks in the stonework above the door. When the flower Show was held in Pontypool Market there were other competitions apart from the flowers. 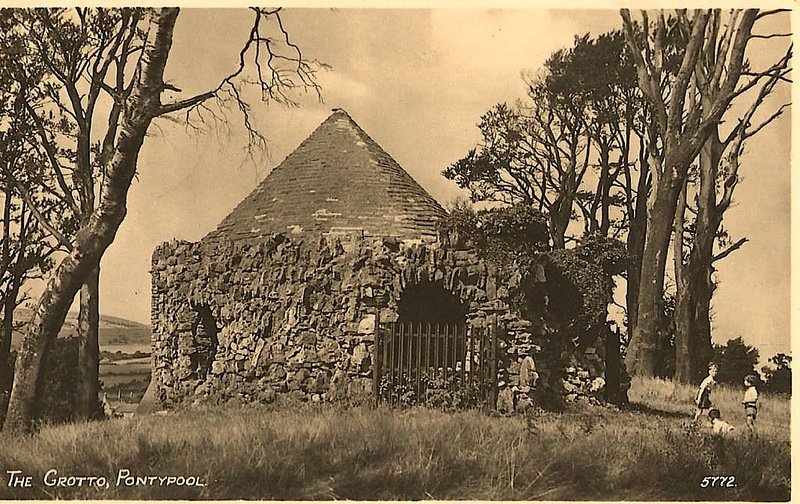 One was a drawing competition depicting the Folly. My brother, Garth, who was very good at art, entered a very good pencil drawing and won first prize in that section of the show. 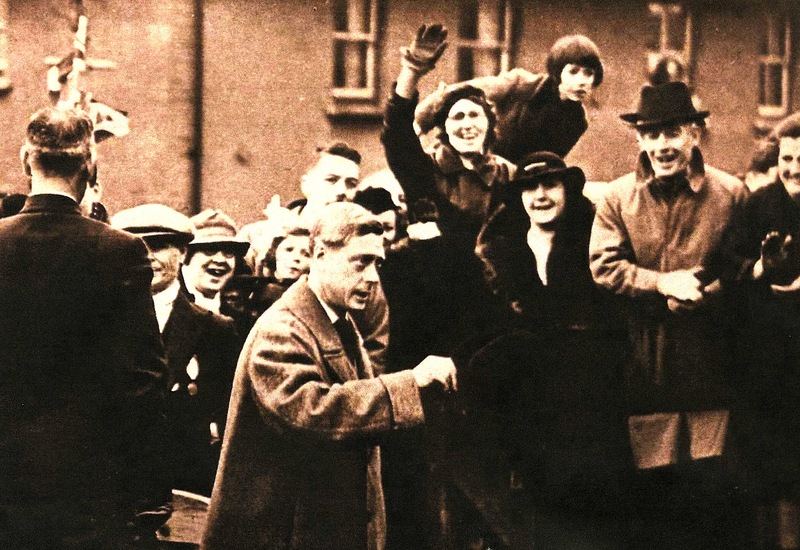 Dot has also sent in a photograph of King Edward taken when he visited Pontypool in 1937. The lady waving her arms is Lyn’s mother and the man in the trilby is his father. 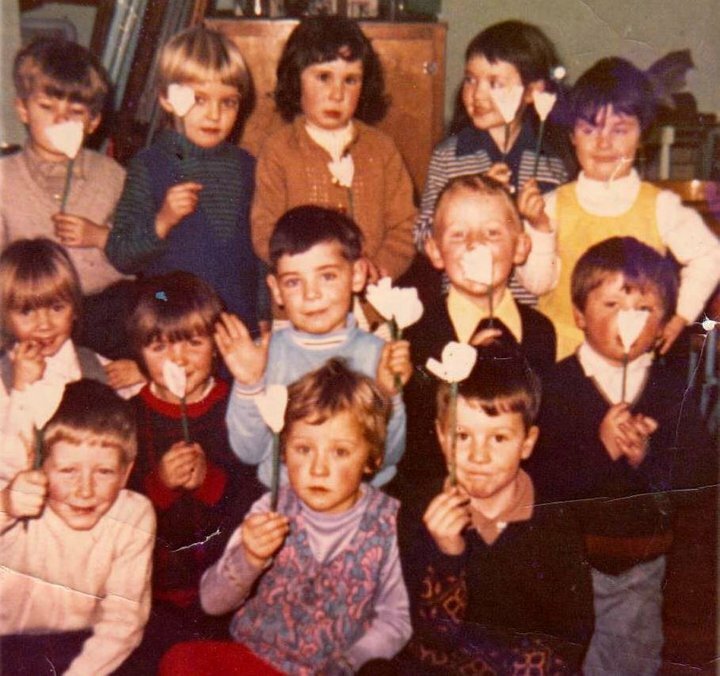 Elsewhere on this blog I have described the day when I was in Town School Infants and we all marched to the bottom of Penygarn Hill to wave our flags at the King. A West Mon mystery: how were the sports teams chosen? I was recently talking with my friend Eric Smith about the sports teams at West Mon and neither of us could remember how the sports teams were chosen. When we attended the school in the forties there were only two first sports teams, rugby and cricket. In most schools they organise trials for anyone who wishes to be considered for any of the teams but this did not seem to be the case at West Mon. From 1942 to 1947 I never once heard about any trial matches being organised. I wonder therefore how these teams “emerged”. Regarding the cricket team, I do remember that, in the cricket team at least, there were a large number of boys who took Latin. Could there have been any connection between this and the fact that the master in charge of the cricket team was a Latin teacher? I suppose this “arrangement” might have altered over time. Can any ex-Westmonians who visit this blog remember a more logical way of selecting the sports teams? If so please leave a comment. When I transferred to Howard Gardens High School in Cardiff I was asked whether I played cricket. When I told them I did they put my name down for a trial and as a result I was chosen to play for the first XI.